Which local bank has the best banking support for startups? 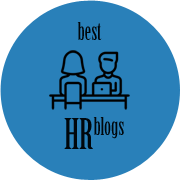 This is a guest post by Ben Teo. He is the content marketer for Linkflow Capital Pte Ltd, a business financing consultancy firm. To receive updates and useful information on SME financing, follow them on Facebook. Setting up a business in Singapore is easy in comparison to many South-East Asia countries. From sourcing office premises to start-up banking accounts, you will be spoilt for choices. However, which banks provides the best banking support for your new business? Understandably running a start-up is a time and money intensive endeavour. The three local banks (DBS, OCBC, UOB) now keenly recognize the banking needs of bootstrapped startups, especially the need for low cost fees and digital banking services. Let’s look at the three popular local banks’ level of banking support for start-ups. A locally registered company or business can open a Singapore dollar banking account in all three local banks. Each of the banks has the following features relating to their SGD current account which are targeted at new entrepreneurs. The Business Growth Account by OCBC is targeted at new start-ups. It offers the lowest initial deposit amongst the 3 local banks at just $500 to open an account. Free OCBC business debit card is also provided with your company’s logo customization. The account has some features that enable you to save cost. This includes free internet and mobile banking to ensure all time accessibility to your accounts. Free personal accident insurance coverage is provided for the first 6 months against any accident on any 1 of the director, partner, or the beneficial owner of the firm. A unique offering that enables further cost savings for new entrepreneurs is a special tie-up with Singtel for OCBC Business Banking customers. OCBC offers 50% off Singtel Business Mobile Plan for new banking account customers and is valid so long as the business account is maintained with OCBC. There is no minimum balance requirement to be maintained for the first 6 months. Thereafter, $35 monthly fall below balance fee will be charged if monthly average balance falls below $3,000. You are also not required to pay monthly charges. $38 account fee is charged annually. An early account closure fee of $50 is charged if account is closed within 1 year of opening. DBS offers a very competitive account for new companies and bootstrapped start-ups operating on a lean budget. The DBS Digital Business Account is the only business current account among the 3 local banks that does not require any minimum balance to be maintained perpetually with zero fall below balance fee. This is useful for new entrepreneurs whom do not want their cash to be stuck in their banking account just to avoid fall below balance fees. Minimum initial deposit of $1,000 is required to open the account. Free internet and mobile banking is included as well as a business debit card. Another special feature for business owners whom are time strapped and perpetually on-the-go is the convenience of online account opening. You can skip the queue at the branch and apply for the account in just 5 minutes online. Although DBS is the only bank offering no minimum balance to be maintained and no fall below balance fee, the catch is there’s a $18 monthly account fee to maintain the account. As the Digital Business Account is primarily geared towards start-ups with a focus on internet and mobile banking, any over-the-counter transactions is charged from $20 per transaction. The UOB e-Business Account is also targeted at new start-ups. UOB is a little bit late into the start-up business account game and its e-Business Account has pretty basic features. An initial deposit of $1,000 is required to open the account. There is minimum average monthly balance of $5,000 to be maintained but the fall below balance fee is the cheapest amongst the 3 banks at $15 per month. Internet banking is provided as part of the account package. Debit card linked to the banking account will be provided for account holders as well. Early account closure fee of $30 will be charged for closure of account within 6 months. Over-the-counter transaction fee of $20 is also levied per transaction for cash deposits and withdrawals done in branches. One notable fee is the fall below balance fee of only $15 per month which is lower than DBS’s monthly account fee of $18. If you don’t maintain $5,000 average monthly balance with UOB, the fall below balance fee is still cheaper than maintaining account with DBS even though DBS has no minimum balance requirements. All 3 local banks provide business financing to SMEs. However, for new start-ups, it might be tough to obtain traditional business loans from banks as most banks will require at least 6 months to 1 year of operational track record. OCBC seems to be the most start-up friendly financier with a financing product specifically catered to start-ups between 6 months to 2 years operational history called the Business First Loan. It offers up to $100,00 collateral free loan for start-ups subject to credit assessment. DBS does not offer any specific start-up loan but does provide a very innovative product termed the Venture Debt Financing programme. It offers venture debt for start-ups in growth stage to complement their venture capital without diluting too much equity in exchange for funding. UOB does not seem to offer any specific financing products in the start-up space and probably chooses to keep their focus on more traditional and mature SMEs. For more mature companies with at least 2-3 years operational experience, you can consider tapping onto business financing from the 3 banks. Here’s an infographic comparing business loans products features from the 3 local banks. Aside from DBS, OCBC and UOB, there are many other banks and financial institutions that are active in the local SME space. However, most start-ups would likely prefer to bank with the 3 local banks due to the unparalleled convenience and reach their local infrastructure provides. For the busy start-up owner, easy access to ATMs, cheque deposits boxes and physical branches is an important factor when choosing which financial institution to bank with. Online and mobile banking for business accounts is now considered a requirement instead of an option. With all 3 banks now offering free online and mobile banking as part of their business account package, business banking is no longer the bug-bear it used to be. There is also a shift in the banks’ focus on their digital banking offerings compared to few years back. 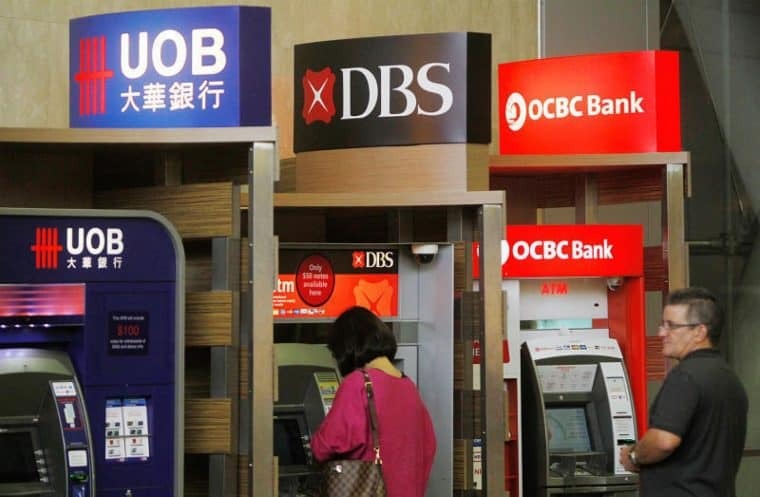 DBS would have the edge as the most start-up friendly bank locally being the first to introduce online account opening and business loan application. OCBC is a close second with their Business Growth Account that has the lowest initial deposit of $500 required as well as their Business First Loan targeted specifically at new start-ups with 6 months business operations. Singapore’s banking landscape is rapidly evolving, powered by technology. It won’t be too far into the future where blockchain technology and electronic payments might replace the current cheque clearing system. We are already seeing innovative P2P crowdfunding start-ups offering SME business loans online. Chatbots and VR bank tellers might soon take over customer service function of branches and call centres too. The above information is obtained from the respective banks’ websites as of June 2017. For most updated information on banks’ products and features, kindly visit the respective banks’ websites for more details.